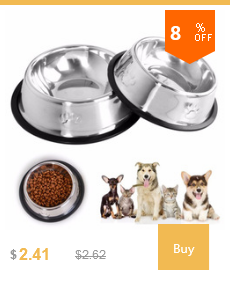 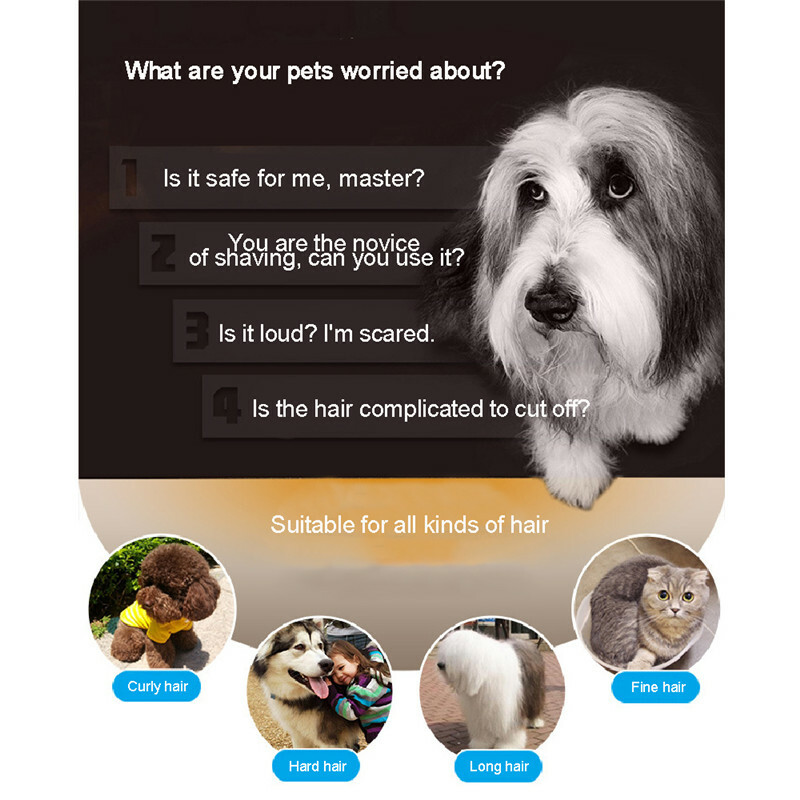 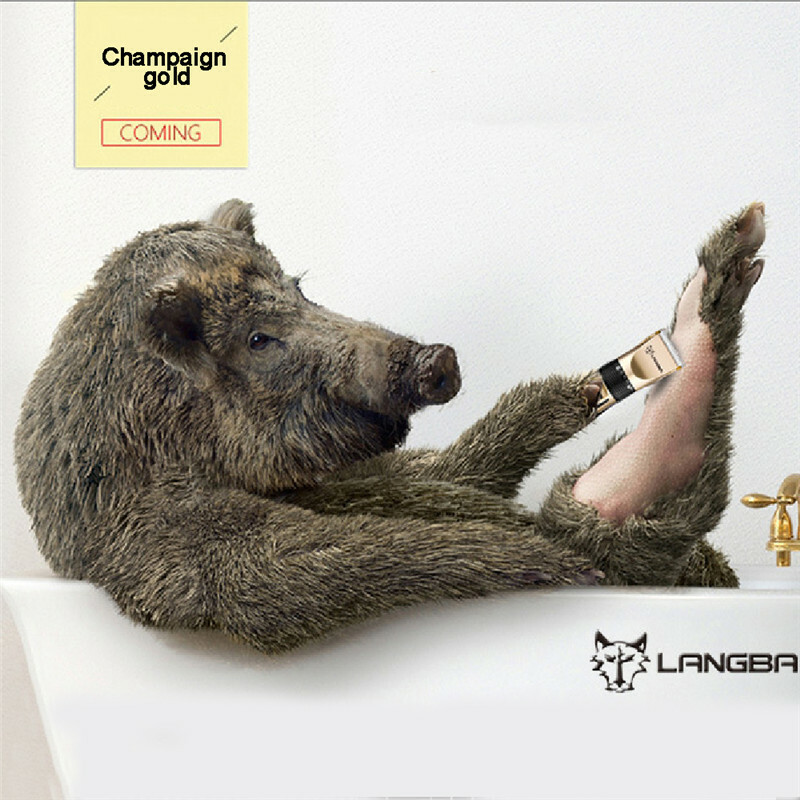 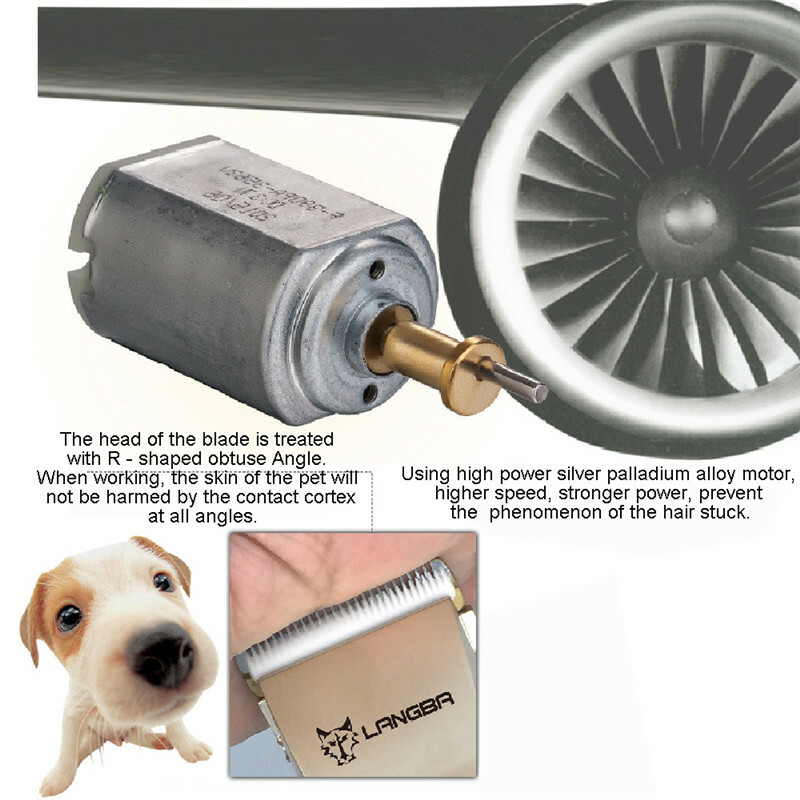 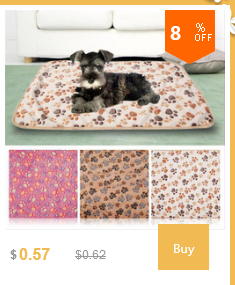 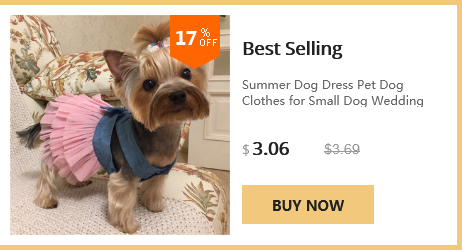 Make Pet Grooming Easy – Special quiet design. 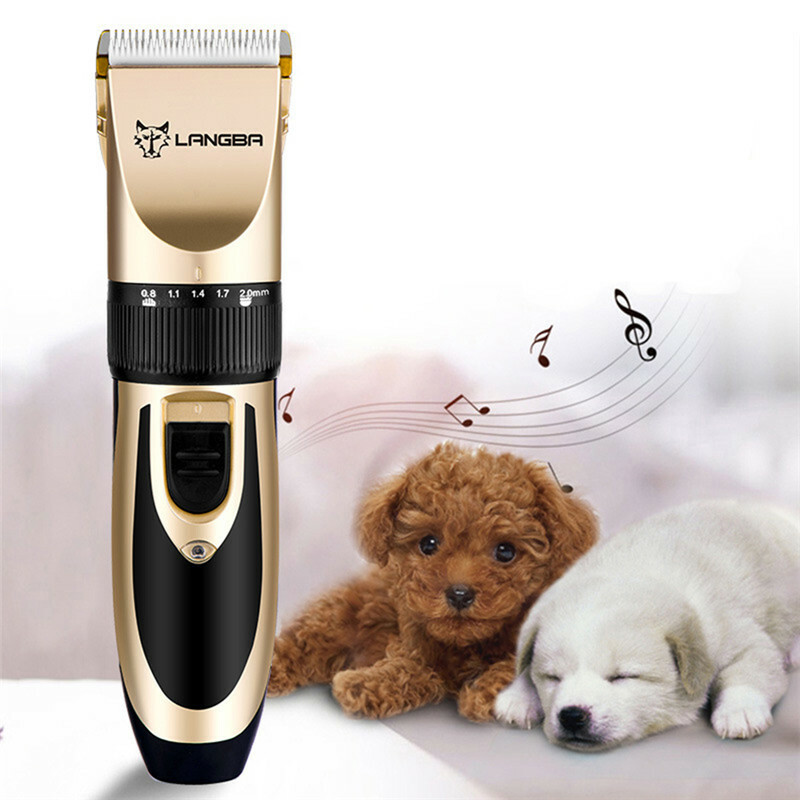 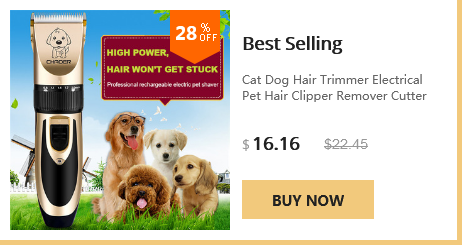 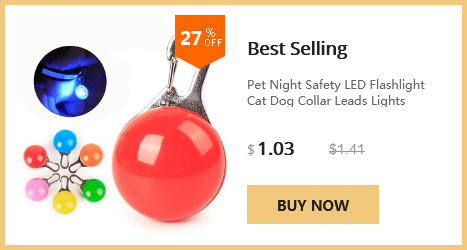 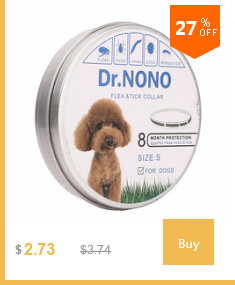 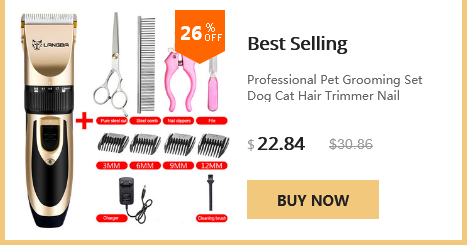 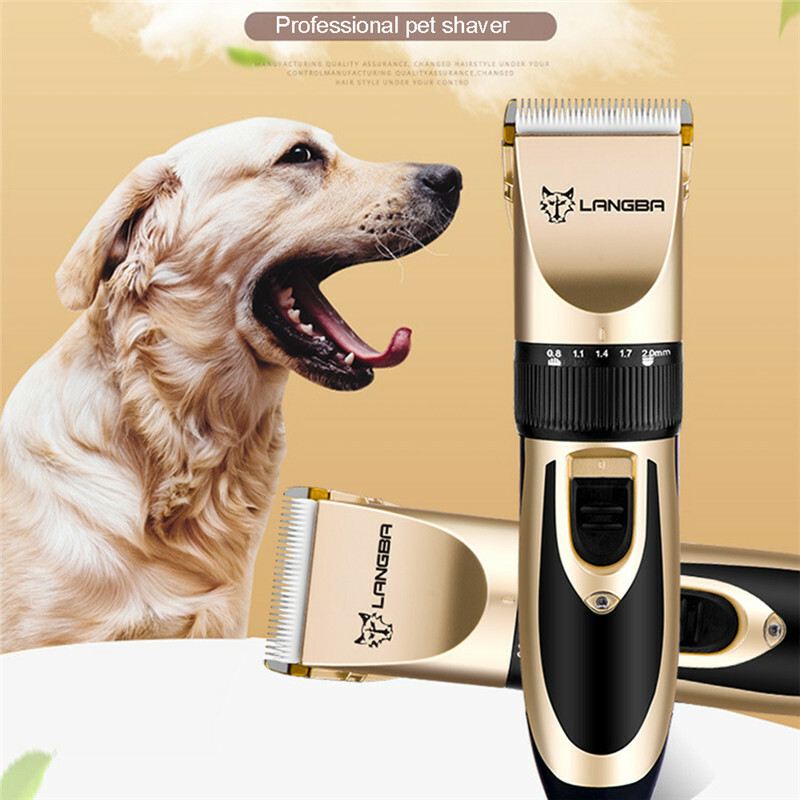 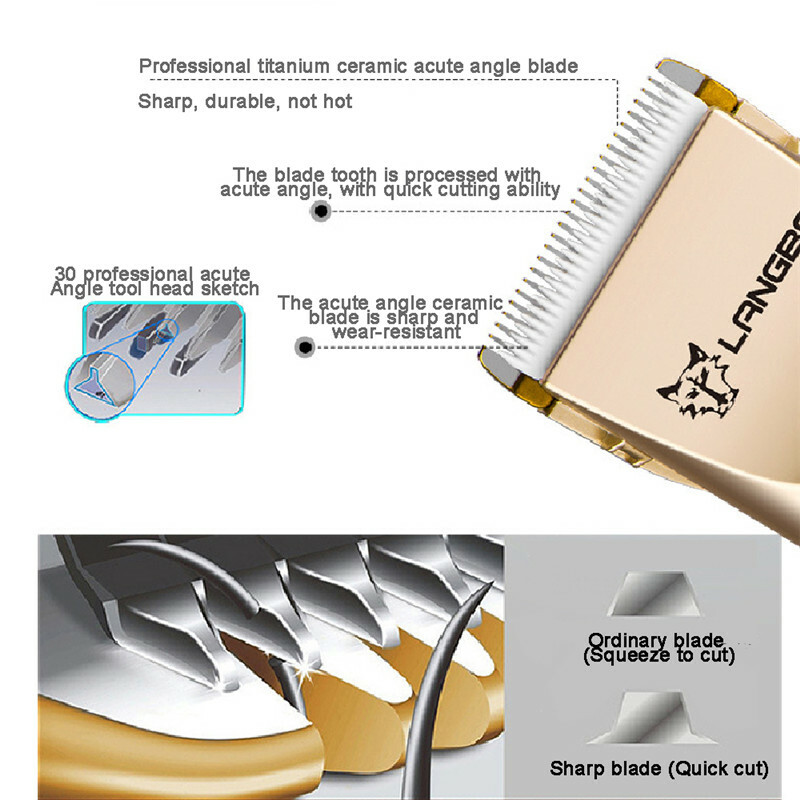 Sharp Detachable Blade - Smooth and Efficient, Prevent pulling or damaging the hair of a pet. 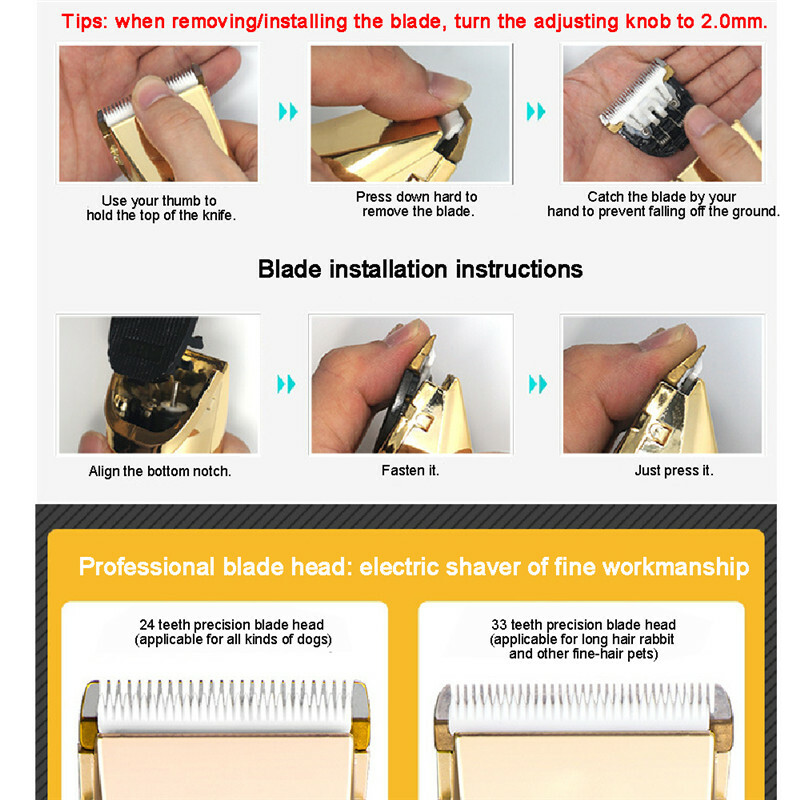 Easy to clean, set the collar setting to 2.0mm, then hold the blade, push it down. 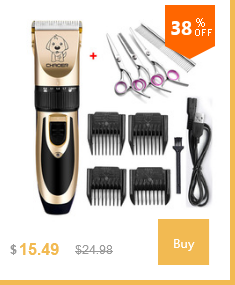 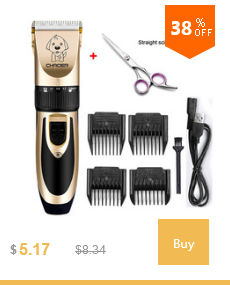 Come with 4 Comb Attachments and 4 Extra tools. 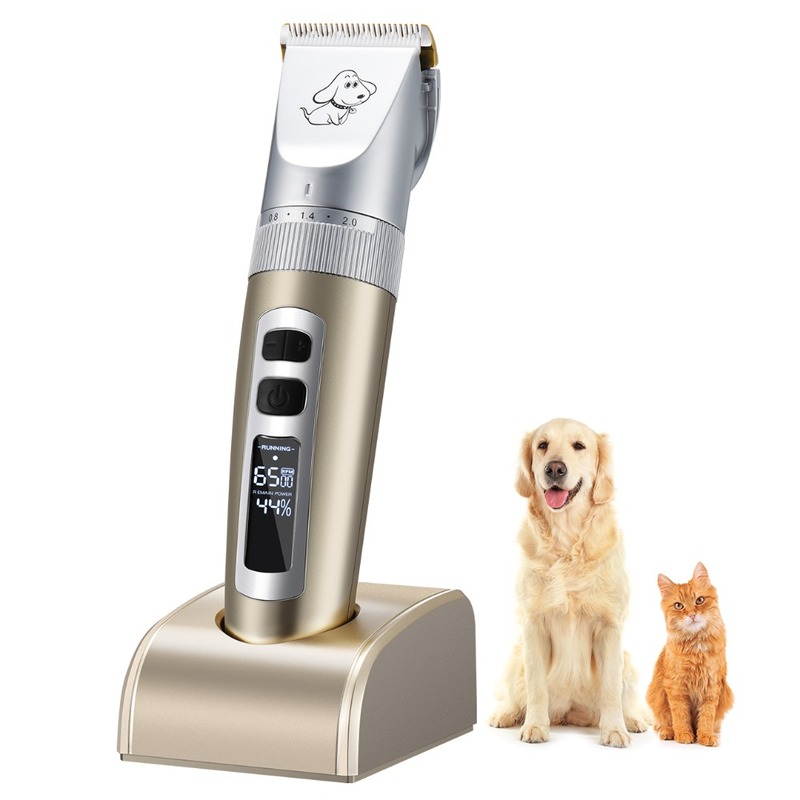 Simplify What Is Complicated - Light Weight & Cordless Design, you can chase the dog all over the house without the wire bothering you. 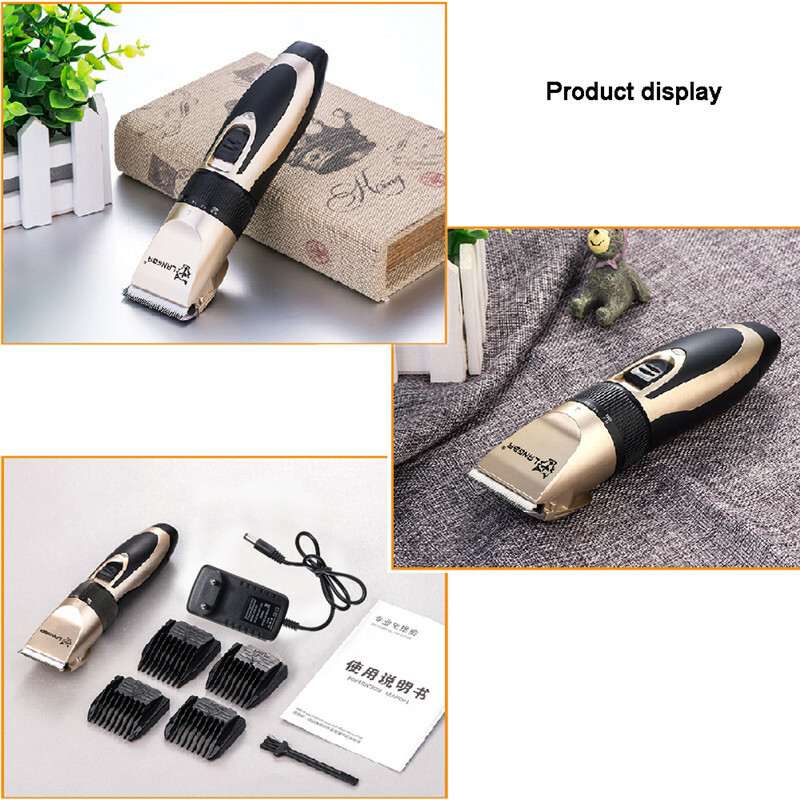 It can be used continuously for 60 minutes after charging for about five hours. 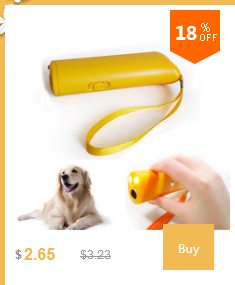 It can work while charging. 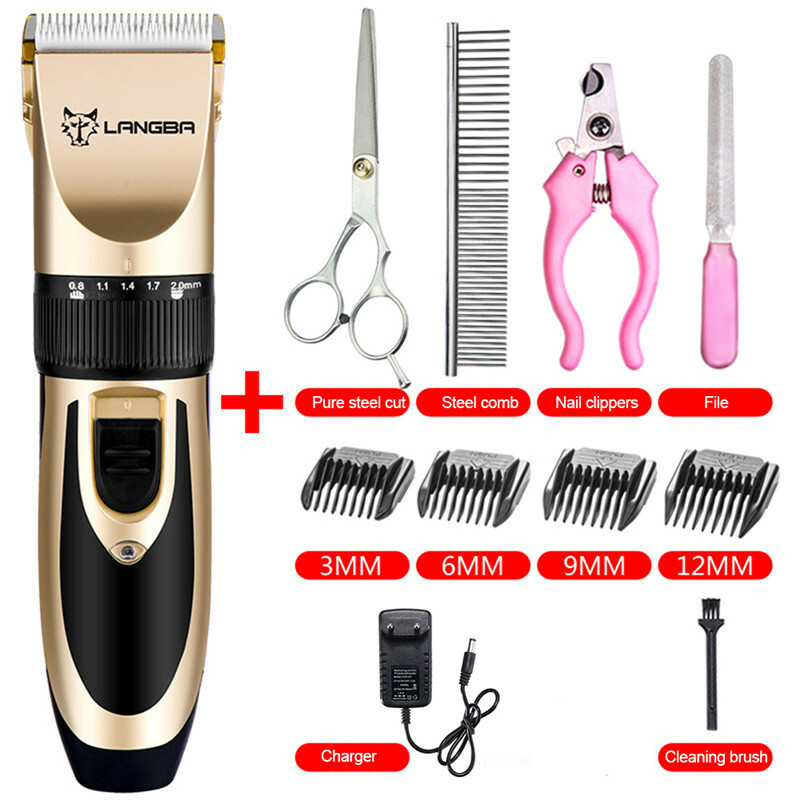 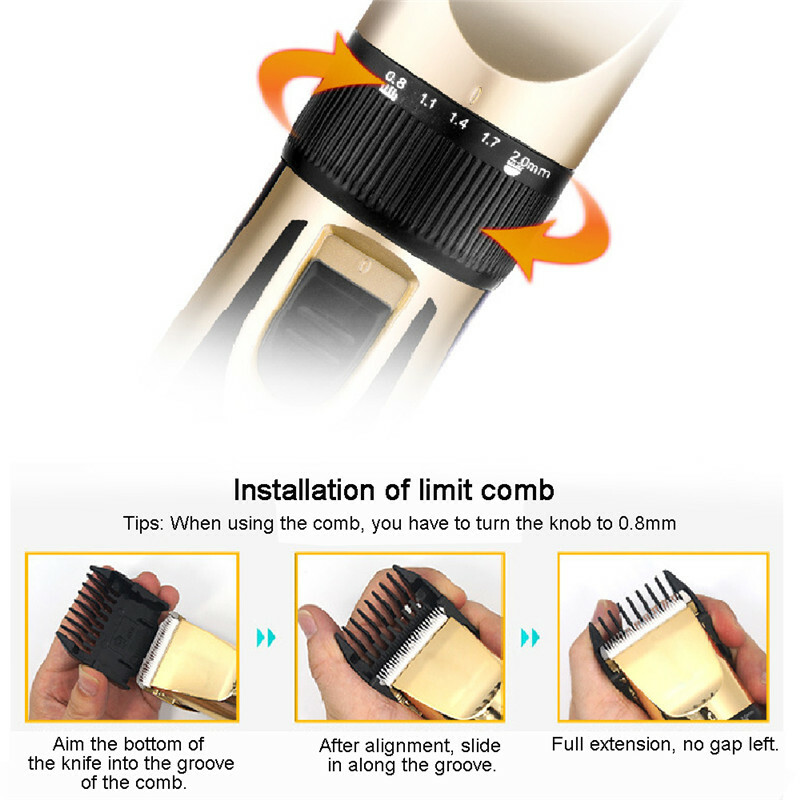 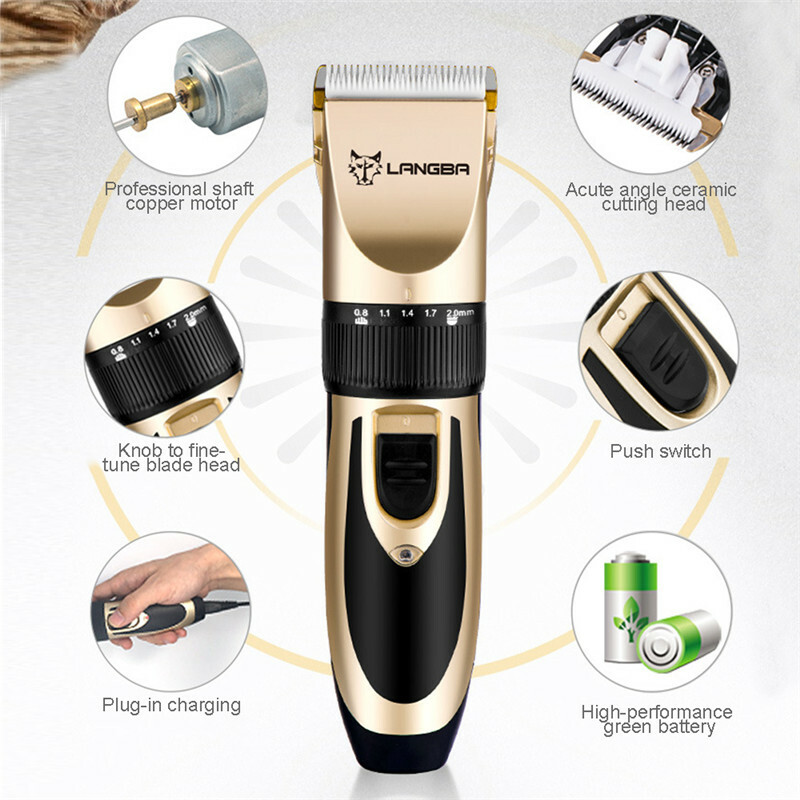 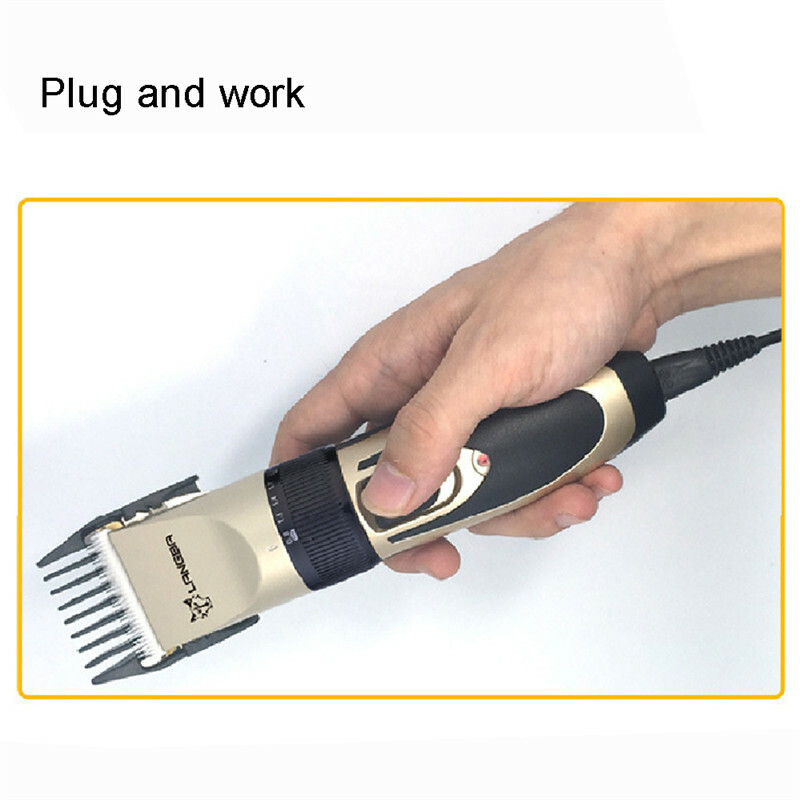 The cllipper itself has 5 adjustable functions for the comb from 0.8mm to 2mm. 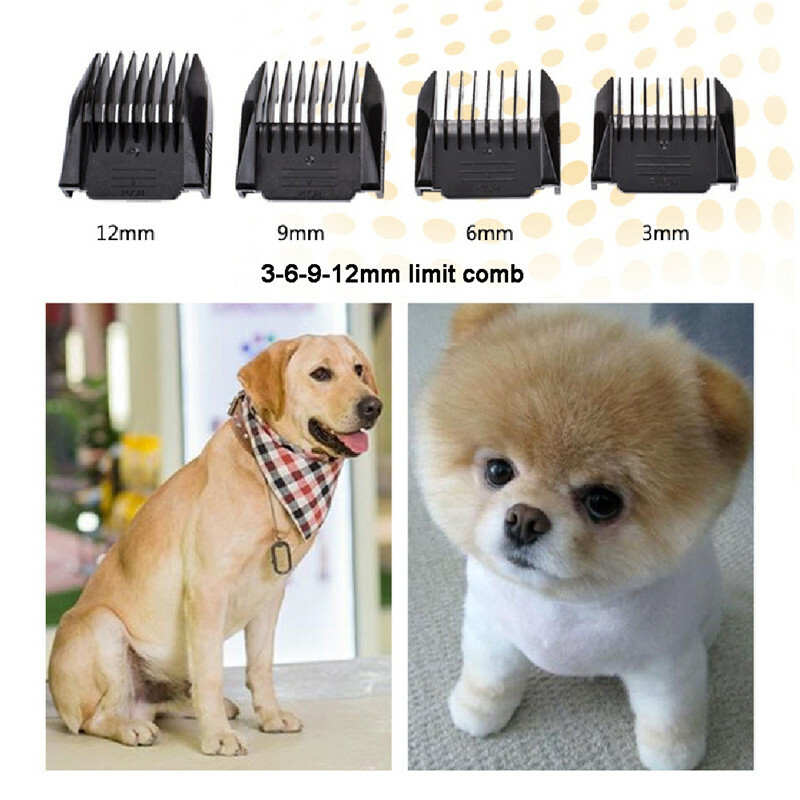 With 4 attachment guide combs: thinning-out, (3mm/6mm/9mm/12mm,) skin-friendly contour-following combs make it safe, easy, comfortable.